Alexandria Ocasio-Cortez has promised a new green agenda. She wants to eliminate the use of fossil fuels within ten years. Today she took a first step, unveiling a renewable source for electricity. It shouldn’t be hard to convince her that “head jobs” are a sustainable source of protein. 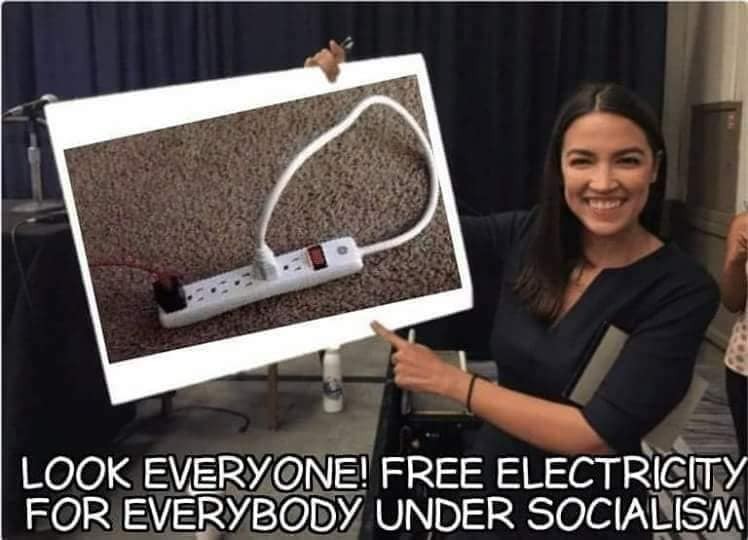 Posted in Crazier Than A Shithouse Rat, Joseph Goebbels School of Journalism, Just for Fun, Satire, Stupid Crook Tricks and tagged clueless liberals, green energy, Ocasio-Cortez. Bookmark the permalink. Shop on Amazon and support the site.